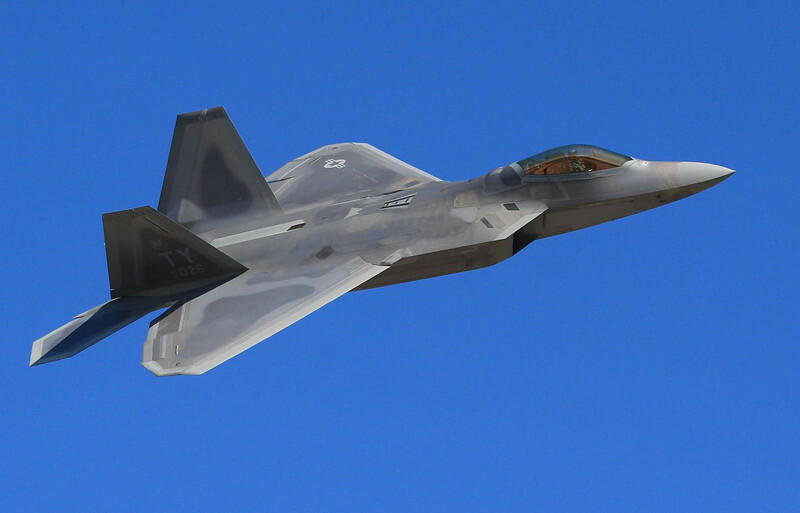 F-22 Raptor showing the surface finishes that make up a stealth design. This was a close pass, so click on original size to see more detail. An aircraft's RCS (Radar Cross Section) is its equivalent size on radar. On radar, an F-22 shows up about the size of a marble!